We gave the community their first look at the Gods last month at Gamescom. If you haven't had a chance to watch the Skyforge Gamescom Twitch Live Stream where we showed the Gods in action do yourself a favor and watch it now! But was that how the teams always wanted the Gods to look like? 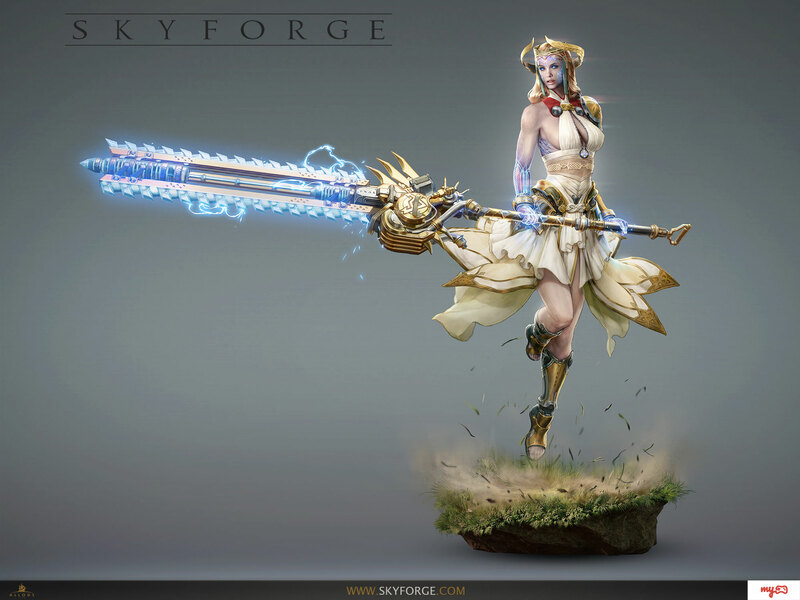 This concept art shows one of the original designs of the female god form in Skyforge. Is this how you imagined the gods would look like? Join the discussion on the Skyforge Forums and tell us what you think!